Swiss authorities say that the Congolese government never responded to their requests for proof that the money had been stolen from state funds and thus should be returned to the government. 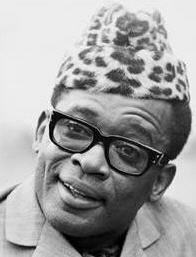 Mobutu's family has never relinquished its claim to the money. Mobutu Nzanga, a son of the former president, is one of three Vice-Prime Ministers in the current government headed by Adolphe Muzito. He received 4.8% of the votes cast in the first round of the presidential elections in 2006 and formed an alliance with president Joseph Kabila for the second round. He was the Minister of Agriculture in the previous two governments headed by Antoine Gizenga.